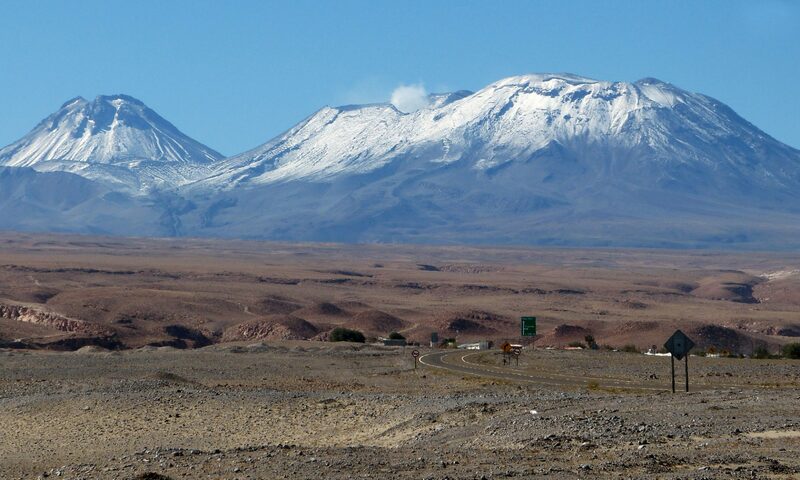 During the month of March I was travelling in 2 parts of Chile: the Atacama desert and Patagonia. The juxtaposition of going first north and then south from desert to a land rich in glacial streams and lakes, was remarkable. In both places the simple beauty of the landscape was inspiring, however, one strange thing is that although both places are fairly remote and difficult to reach – both were full of tourists herded from spot to spot by tour and sightseeing buses. It was actually difficult – at the ends of the earth – to be alone. You often had to try to find a way to look, a perspective, that isolated the scenery from the scenery-peepers. This was true, even is one was willing to hike some distance. Also odd, considering how many tourists there were – is that internet access was relatively poor. It felt off-kilter to be surrounded by people and yet disconnected. Probably akin to traveling to Niagra Falls or to the Grand Canyon before cell phones and video cameras. It reminded me that we now have to try to be in the moment with the people we are with – something that was unavoidable years ago.